Citizens in Bryan know Steve focuses his full attention on the special needs of each and every Bryan DWI client. He has over 25 years experience, knows the court system, and knows the Bryan DWI law. 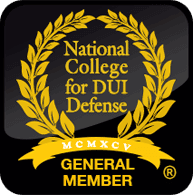 If you have been arrested for DWI or DUI- If you are under DWI investigation – You need an experienced Bryan criminal defense attorney as quickly as possible to ensure your rights are protected and your critical needs are met.